LUCIDA explores the idea that our contemporary fascination with transparency and the virtual, and our acceptance of both, as viable methods of observation, originated from the nineteenth-century microscopic study of living cells. Yet, the images in LUCIDA do not record any real cells, instead they present plausible, fictional cells. 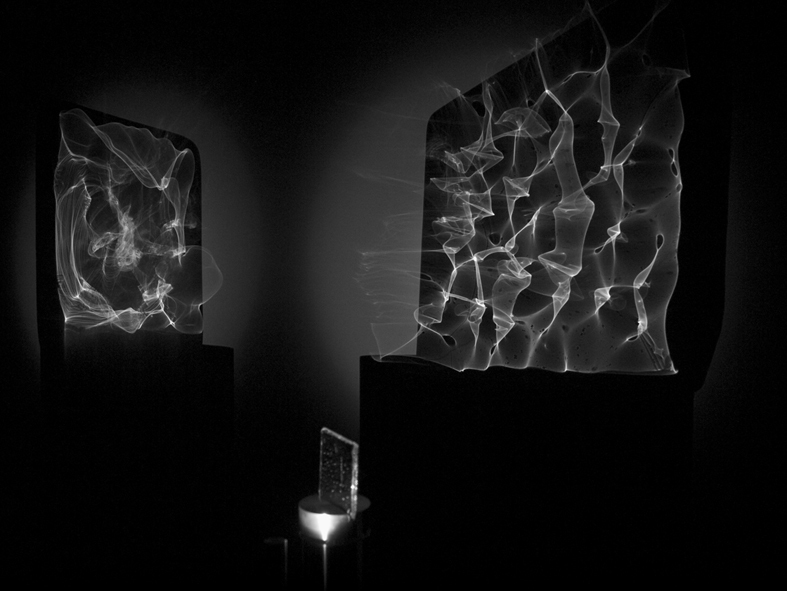 The images occur through the real-time interaction between light and glass that takes place in the gallery. In effect, immersing the viewer in a space where light no longer only illuminates surfaces, but also defines volumes without mass. 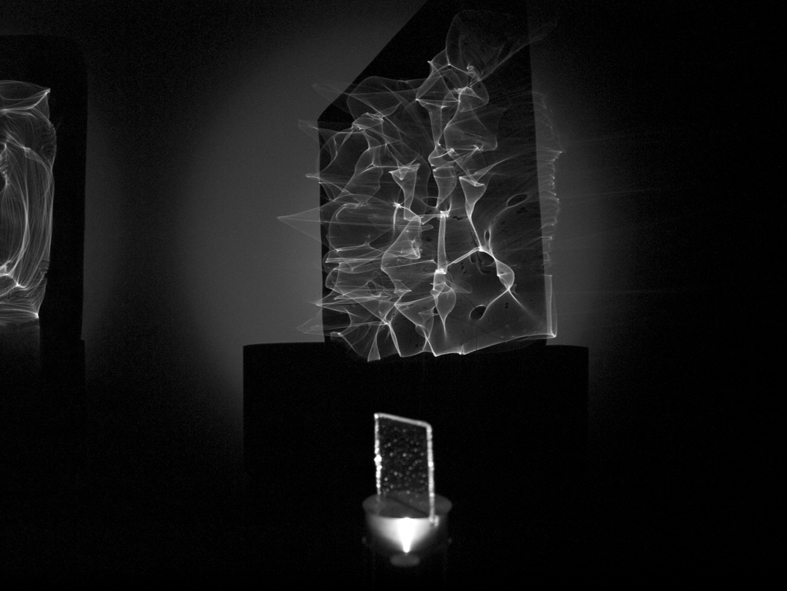 The idea behind the construction of LUCIDA is to create a hybrid space, made by juxtaposing two differing modes of scientific observation, as the work merges elements of the camera obscura with concepts of microscopy. Both of these technologies comprise light, lens, space, image, and observer, but in differing configurations, with each instrument determining a distinct viewing experience. The installation is to intuit a visual discourse that engages the viewer in a phenomenological investigation of this hybrid, and somewhat ambiguous, observational space. In LUCIDA emphasis is placed not so much on the specifications of imaging modalities, but rather the network of relations and discourses in both culture and science that have been initiated by these technologies. Imagined as a camera obscura room, LUCIDA is both an observational space as well as an instrument that makes images. Essentially, LUCIDA functions as an autonomous, image making machine that creates analogue images in real time, without generating a permanent record. In LUCIDA, generating sight is a whole body experience, as viewers are free to move around the darkened space, to inspect both the magnified images of microscopic structures, which animate the gallery walls, as well as the instrumentation from which they emanate. Here, the camera obscura is a space simultaneously for the observation of empirical phenomena, and where the viewer can reflect on the act of seeing. The connection between the small transparent glass plates and their projected architectonic images is only made apparent by their matched incremental rotation. Rarely synchronizing, as the separate glass plates move at different speeds and in opposing directions, they create a choreography that is controlled but not prescriptive. In LUCIDA glass acts simultaneously as the vessel, lens and medium, and light is seen not as a passive illuminator of interior structures, but rather as an instigator to their construction. LUCIDA was initiated while Sellars was 'Artist In Residence' at the Pilchuck Glass School, Seattle, USA. Sellars then developed the work with the assistance of the Laser Physics Centre, Research School of Physics and Engineering, Australian National University. Craig MacLeod (technician/mechanical engineer) assisted with fabrication and Associate Professor Matthew J. Sellars (quantum physicist) was the advising scientist. 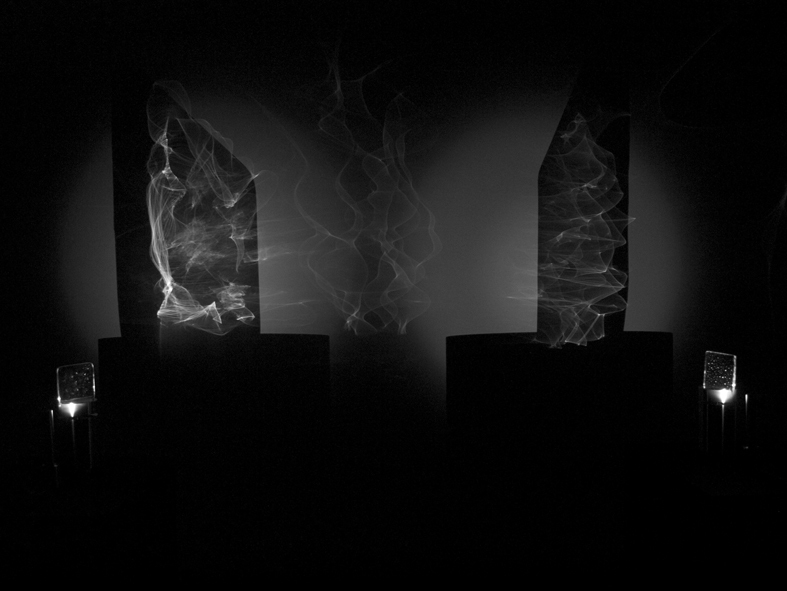 A prototype, LUMEN, was exhibited at GV ART, London, 2011.